Looking for private in-home or in-studio Trombone lessons? Our Fayetteville teachers are ready to get you started. Find your teacher today! Check out some of our most popular teachers near Fayetteville, GA including Atlanta, Marietta, Decatur, Alpharetta and Duluth. I enjoy teaching beginning technique including making a sound, learning slide positions, reading bass clef notation, and learning to play in tune with a tuner. I have been teaching trombone for 22 years. I have received about 14 years in trombone and specialize in it. I have produced 3 CDs with my brass group, Cornerstone Brass. I have an earned Masters degree in music and enjoy teaching students of all ages. I am happily married with 5 children at home--4 of them are musicians as well (the youngest is 4).. Students will quickly learn not only the basics of music theory, but will be playing songs as early as their first lesson. It is extremely rewarding watching students have fun, excel, and fall in love with making music. I presently teach music at 3 schools (1 college) and only have a few lessons slots available. I look forward to working with you. I am all about teaching the whole musician, meaning that you will not be learning just trombone but all the skills necessary to be the best musician you can be! This includes ear training, music theory, sight-singing and more. 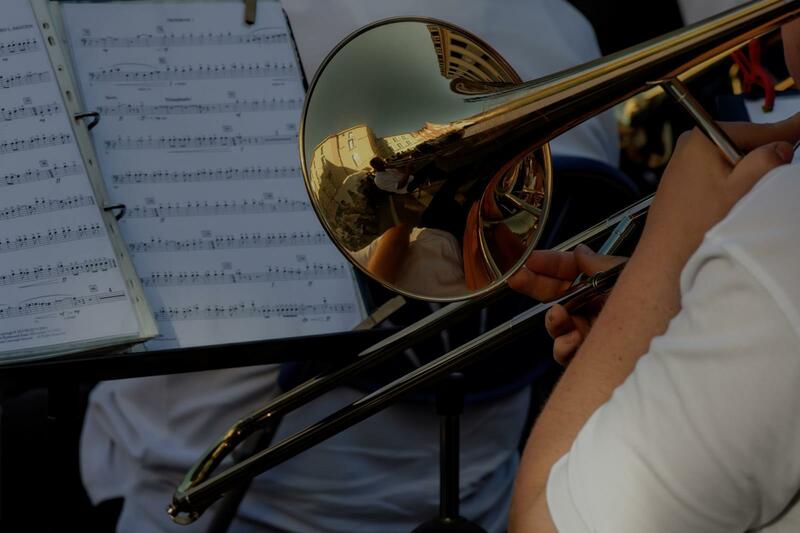 Whether you are just starting out with trombone or already ten years in, this package allows you to connect with an instructor who can assess where you’re at and establish a trajectory to help you reach your goals. You may focus on learning a few pieces or just specific techniques. Either way, you’re sure to end the package feeling more competent and confident in your abilities. This lesson package can be repeated as needed. Can't find a teacher in Fayetteville, GA?